While most of our team is enjoying the warm Florida weather in February, we know there are a lot of mama’s who are itching for warmer weather to get their kiddos out of the house! 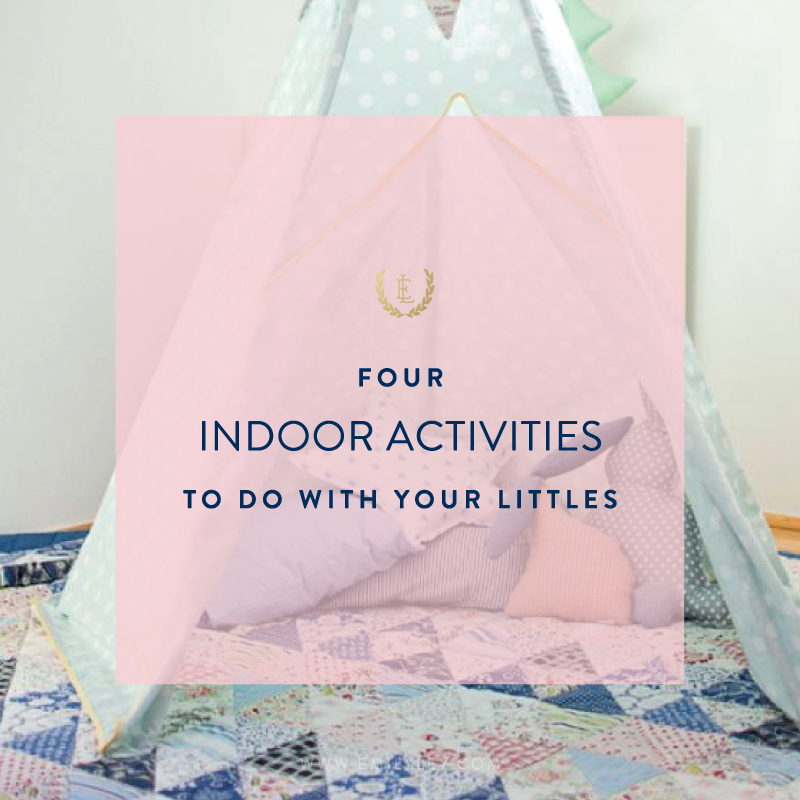 In the meantime, we’re sharing four of our favorite activities to do indoors with your little ones. 1) Build a fort: This indoor activity never gets old! Bring out all the blankets, pillows, towels, and chairs and build a giant fort in your living room or playroom. For extra fun, let your kids eat lunch or a snack in the fort. 2) Indoor Bowling: Transform a long hallway or your living room into a bowling alley! If you don’t want to buy a bowling set, use empty water bottles (or milk jugs!) and balls that you can find around the house. (Hint: if the bottles fall over too easily, fill them with a little bit of rice or water to weigh them down). 3) Family Photo Bingo: Use family photos to play bingo! Find 9 photos per bingo board, and help your kids learn your family tree. This is especially great for helping your little ones learn the names of extended family members who you may not see very often! 4) Make your own Movie Theater: We love this idea for a cold (or rainy!) day. Make some comfy chairs, pop some popcorn, and put in a movie that you’ve never seen before. Your littles can also create pretend tickets to make it even more like the real thing.